Home BUSINESS Kenya to host the 9th International Macadamia Symposium. 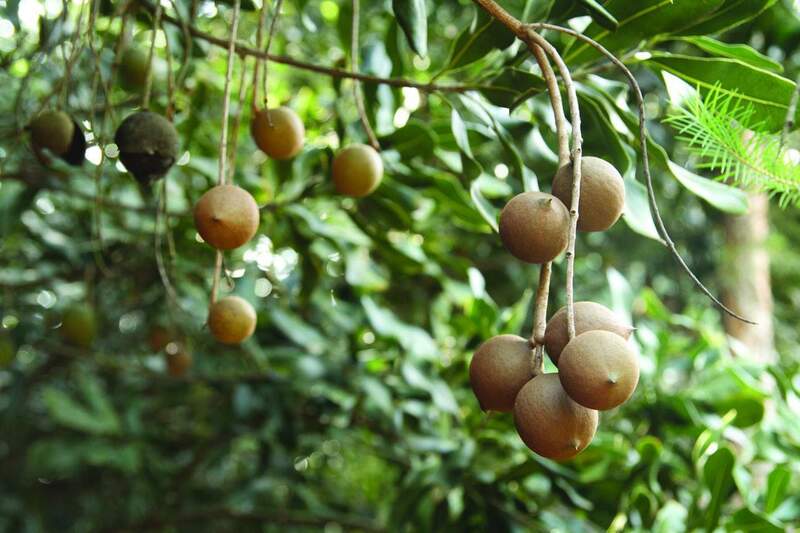 Kenya to host the 9th International Macadamia Symposium. Kenya will host the next International Macadamia Symposium also known as the "Oscar" of Macadamia industry, in the year 2021. This was revealed by the Thika Town MP Eng. Patrick Wainaina on Sunday after leading a Kenyan delegation of macadamia farmers at the 8th edition in Lincang, Yunnan Province Southwestern China. Speaking exclusively to Thika Town Today, Wainaina said that as farmers, they had resolved to dislodge South Africa and Australia from the helm of the world’s macadamia production. “After dislodging the US from the 3rd position, our target now as Kenyan macadamia farmers is to get to position one and this can only be made possible if we manage to plant at least a million macadamia seedlings annually within the next 5 years,” said Wainaina. Kenya was ranked third this year after South Africa and Australia respectively in the world largest producers of macadamia. Delegates at the symposium who included growers, processors, scientists, experts and marketing professionals drawn from 20 different macadamia producing and consuming countries shared knowledge and discussed on macadamia industry's present and future. The Thika legislator who is also a macadamia farmer admitted to have learnt a lot from China, lessons he said if applied in Kenya, would catapult the country to greater economic heights. “The China visit was an eye opener for me. Most of these products we import from China are produced by individuals within their own backyards. These things are very workable in Kenya. In fact, we have an added advantage in that we have the Jua Kali yards which can be improved to maximise production,” he said. However, he noted, unlike Kenya where young entrepreneurs lacked enough government support, the Chinese government fully supported these cottage industries through provision of very cheap loans payable in just 3% interest. “The Chinese government also supports business clusters with incentives to export their goods across the world, making it very cheap to produce and sell their goods,” he said. He appealed to the Kenyan government to protect its young entrepreneurs by limiting cheap imports that ended up killing our cottage industry. He hailed the recently signed Kenya-China Economic and Investment Cooperation Agreement saying that it will open doors for the exportation of more than 40% of Kenya’s fresh produce to the expansive Chinese market. “China has a population of about 1.3 billion people. That’s a very big market that Kenyans need to take advantage of,” explained Wainaina.